The striking similarities between regions separated by time and space. 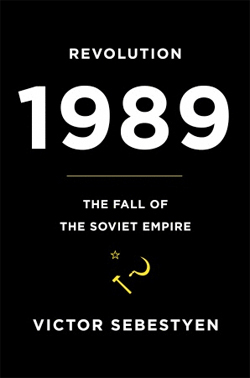 Revolution 1989: The Fall of the Soviet Empire by Victor Sebestyen. 480 pages. Pantheon. $30. “The people’s will had triumphed over tyranny in a dizzying few months of almost entirely peaceful revolutions which changed the world… a point of bright hopes, intelligent optimism, sincere thanksgiving…” This may sound like a report from the Middle East, but it is actually Victor Sebestyen writing about Central and Eastern Europe.